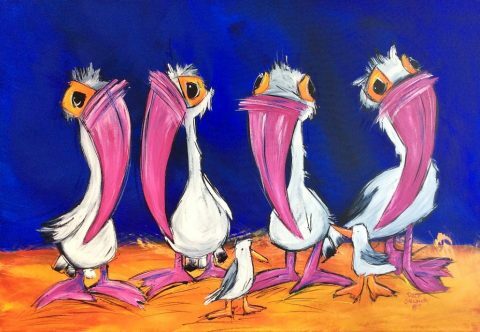 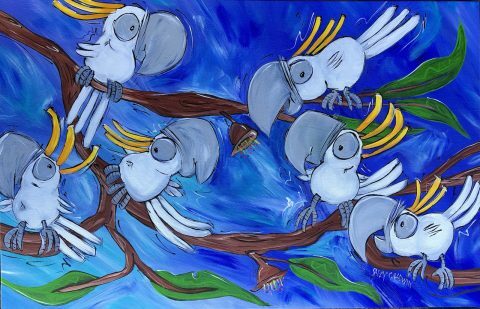 Having always had a love for drawing and painting from a young age, Suzy has been incorporating her love of all things Australian, into large canvases. 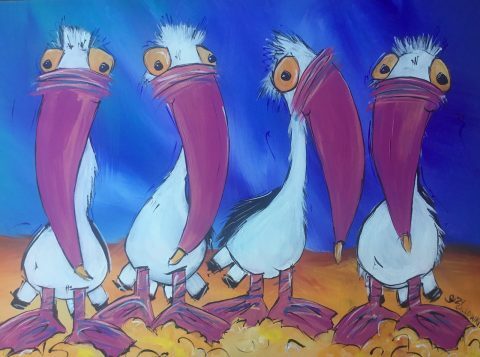 Suzy mostly uses Acrylic paints on canvas to showcase her cartoon – quirky style. 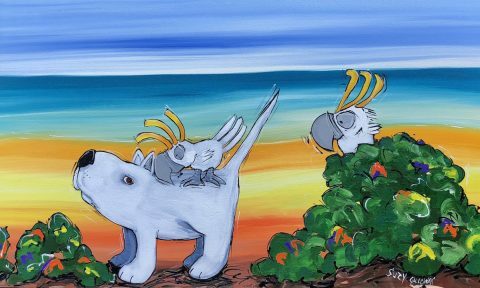 Drawing inspiration from the sea to the outback, and the sky to the grassy grounds of Australia. 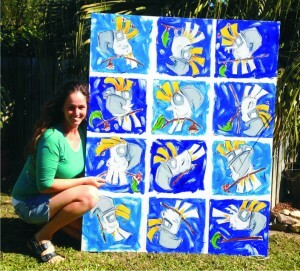 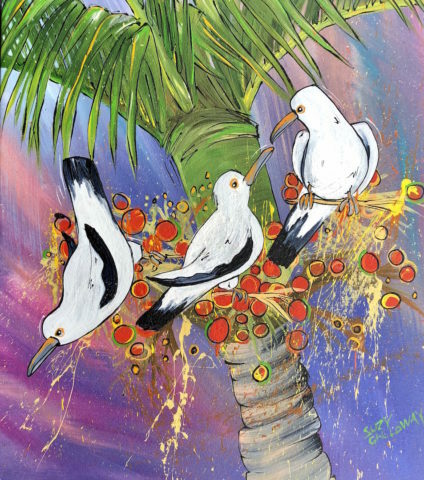 She paints scenes that she has seen throughout her life with a vibrant and energetic style. 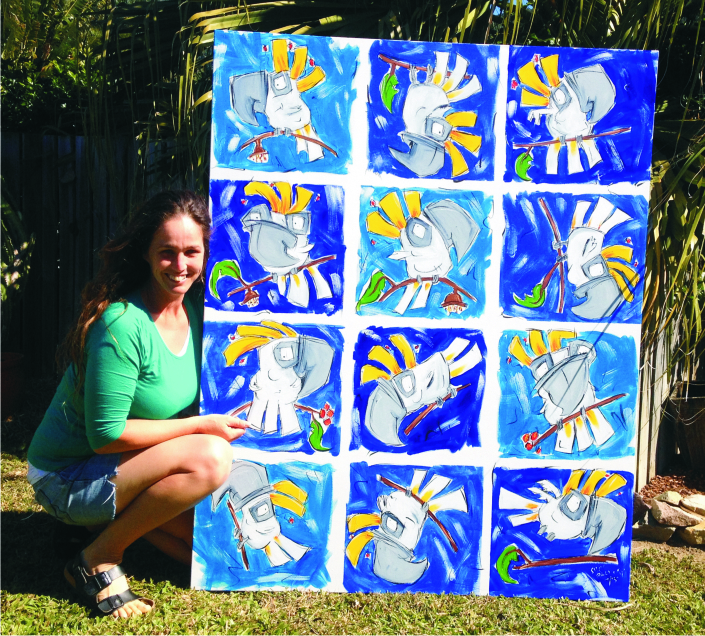 Her main wish is that people obtain from her art; a smile, a laugh and a sense of happiness from all the quirky characters and scenery in her paintings.